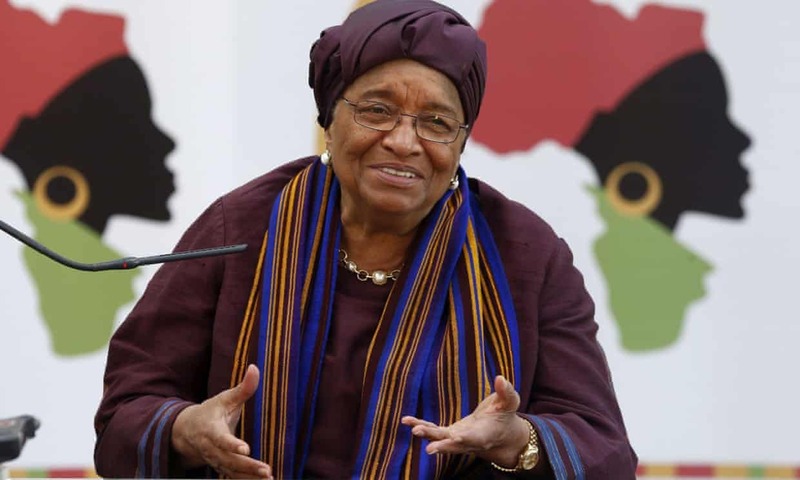 Will it never end in Liberia? Will ritualistic murders ever stop in this country? 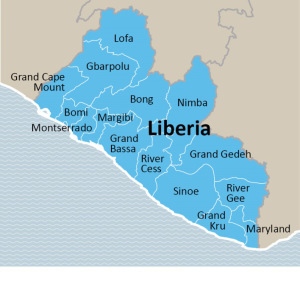 Liberians blame the killings on the country’s contaminated judicial system and inefficiency, corruption, under-qualified lawyers and judges, lack of court facilities, transportation, and others resources, inadequate police investigation, shortage of public defenders, poor case management, and they believe the reintroduction of capital punishment would serve as serious deterrence to would be ritualistic killers. Unquote (see below). 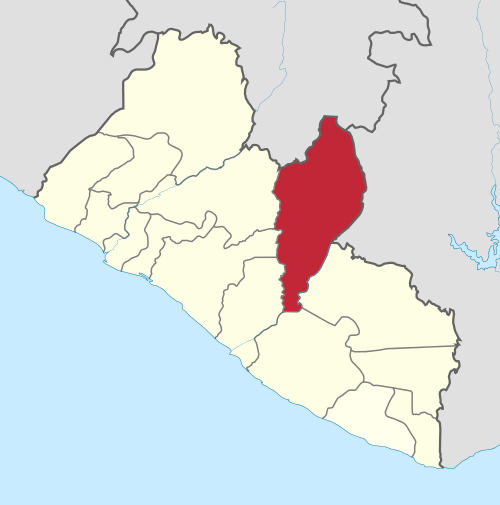 Ganta, Nimba County – Mob violence has taken center stage in Nimba County as locals consider it a means of reprisal to a wave of alleged ritualistic killings happening in recent weeks. Two men, who were accused of killings of a 14-month-old baby, were mauled to death while they were being transferred to the county’s capital for investigating. The two men were mauled by angry residents of the LPRC Community in Ganta. The incident occurred on March 19 when angry residents stormed the city, calling for the speedy investigation of the killings. The violence brought normal activities to a standstill leaving some police and Liberia Drugs Enforcement Agency officers injured. Earlier, seven men were accused of alleged ritualistic killings in Blavahlay Town, District #7 and they were taken to Sanniquellie for investigation. The issue of mobbed violence is now on the increase in Nimba County with Ganta experiencing the most incidents, a FrontPageAfrica reporter in the county said. At least 10 persons have been reported killed as a result of mob violence in the last two years. Since the March 19 incident, the police presence has increased in the county and 93 suspects have been arrested in connection with the disturbance. They are currently in Gbarnga, Bong County undergoing investigation. The alleged ritualistic killings and subsequent unrests have destabilized Ganta, a major commercial city in northern Liberia. It is drawing concerns for people from all walks of life. 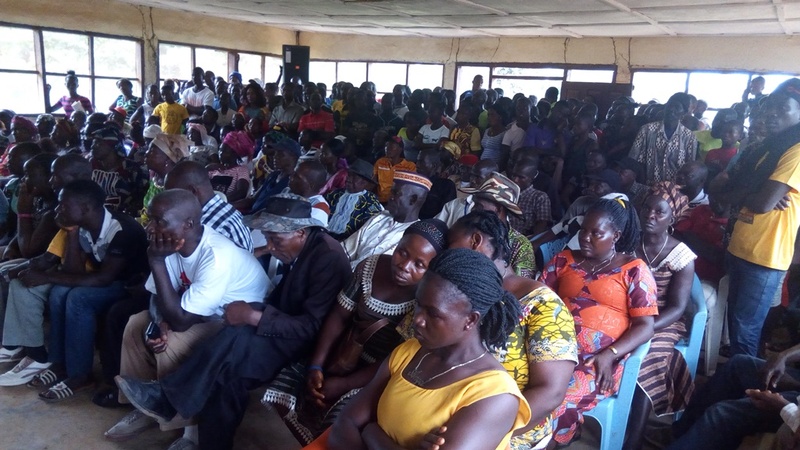 At the weekend, over 200 women under the banner Nimba Women for Peace and Reconciliation presented a position statement on the increase of ritualistic killings in the county recently. The women, from the 17 administrative districts of the county, gathered at the Christian Bible Church in Ganta. They were very angry and called on the government to combat the strange killings. The heads of several women groups in the county expressed their dismay and called for swift actions from the government. They said, “their children are now living in fear, they are not going to schools, and they should not be used for to rich themselves with our children that are the future leaders of the nation”. The women presented a position statement to the county leadership but only a county official was present. 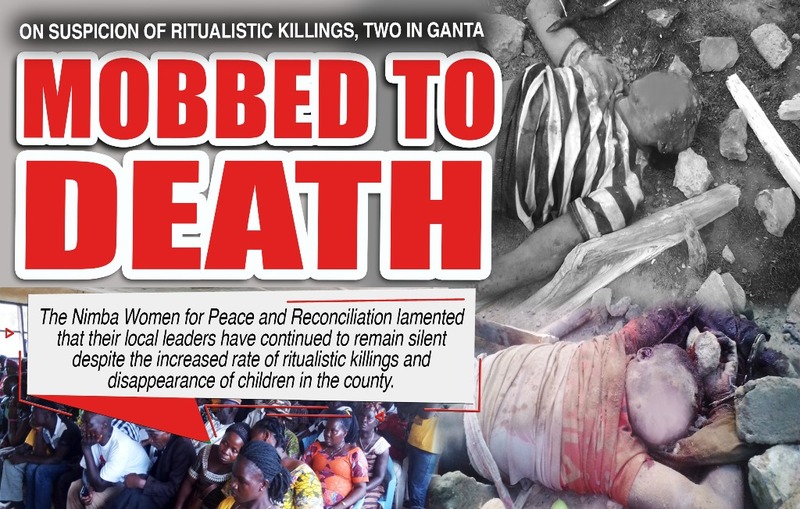 The Nimba Women for Peace and reconciliation lamented that since the increased of ritualistic killing in the county, “the local authority continues to remain silent while children are going missing”. They stressed that they feel obliged to undertake the cause to condemn “these evil acts by people who are interested in nothing else but just of power and money”. They also called for calm among families of victims while urging local leaders and the county lawmakers to stand behind their effort and combat the increase killings in their communities. The gathering comes four days after the lifeless body of an infant was discovered in Ganta. The body was discovered burned and it was said to be a 14-months-old child. Another child was reported missing at the Ganta general market while there have been reports of several other alleged killings of children in the county. There have been brewing tension in the county with hundreds of residents threatening mob justice, prompting the women to emphasized the importance of the government’s intervention. And the women stressed that timely intervention will avoid a ongoing negative reaction from the public, that is already frustrated and showing a lack of confidence in the authorities and security actors. The women then called on the government to launch an investigation into the “killing and missing of innocent children in the communities and bring the perpetrators to book and keep the public constantly abreast of the progress of such investigation”. At the same time, rights advocates in the county have termed the “strange killings of children as “a blatant violation of human rights”. According to the Executive Director for KIDS Foundation Liberia Augustine Dahn, in the past years, several children and adults had gone missing and were later discovered dead with parts of their bodies extracted for ritual purposes. (Italics added by the webmaster FVDK). The group joined the Nimba Women for Peace and Reconciliation to condemned the killings and called on government to reintroduce capital punishment. The group argues that the increasing wave of these human rights violations can be blamed on the country’s “contaminated judicial system and inefficiency, corruption, under-qualified lawyers and judges, lack of court facilities, transportation, and others resources, inadequate police investigation, shortage of public defenders, poor case management.” The management of Kids foundation believes the reintroduction of capital punishment would serve as serious deterrence to would be ritualistic killers. The original article is in French. A summary reads as follows (under construction). Les crimes rituels prennent de l’ampleur au Bénin avec la prolifération actuelle des « hounnon », une nouvelle filière en plein essor où s’engouffrent beaucoup de jeunes adeptes de la facilité. Les appels lancés à l’endroit des autorités du pays notamment à l’endroit du ministre de l’intérieur et de la sécurité publique pour un recensement de tous les acteurs du secteur afin de les responsabiliser sont tombés dans des oreilles de sourds et le mal va grandissant. Il n’y a pas de jour qu’on signale la disparition d’un enfant ou un corps inanimé d’un individu dont les organes sont prélevés; comme c’est le cas dans la nuit du mardi 12 au Mercredi 13 Décembre 2017 le corps inanimé d’un jeune homme sacrifié au fétiche « kinninsi » a été retrouvé à Avlamè, une localité de la commune de Zogbodomey. Selon l’agence Bénin presse (abp), le jeune homme de 27 ans environ serait isolé par son bourreau et ensuite froidement sacrifié au fétiche dans une maison isolée. La victime selon l’agence Bénin presse serait un agent de sécurité dans une société de gardiennage. Les enquêtes ont conduit à l’arrestation d’un jeune homme de moins de 20 ans soupçonné être l’auteur de crime rituel. Conduit à la brigade de gendarmerie de Cana, il sera présenté au procureur pour les nécessités de l’enquête. Les autorités de notre pays doivent sortir de leur silence et se pencher sur ce phénomène qui prend de l’ampleur dans notre pays encore que le « tô fâ » 2017 révèle qu’il y aura beaucoup de disparitions d’enfant en 2018 et invite les parents à la vigilance. Si les organisations non gouvernementales, les partis politiques et autres organisations sont enregistrées au ministère de l’intérieur donc reconnues par l’État, il urge que les marabouts, les « hounnons » et autres prêtres du « vodoun » soient également recensés et que l’État ait un droit de regard sur leur fonctionnement; il en va de la sécurité de nous tous. Zogbodomey or Zogbodomè is a town, arrondissement, and commune in the Zou Department of south-western Benin. Sixteen men, including a former legislator and a vigilance group commander alleged to be involved in kidnapping, ritual murder and sale of the human private organs in Kogi State were yesterday paraded by the police in Abuja. Police spokesman, Ag. DCP Jimoh Moshood,said male and female organs, including that of a police inspector were harvested and sold by the syndicate whose ages range between 19 and 45 years. The gang,according to Moshood,was working under the instructions or request of a wealthy businessman, Alhaji Shaibu Adamu alias Aye-Marina (43 years). A manhunt is underway to arrest patrons of the group. The police sid the arrested men have confessed to the killings and removal of body parts of several people. However, Alhaji Shaibu Adamu and Abdullahi Ibrahim Ali, a former Kogi state legislator vociferously disowned the gang’s leader who claimed to have been liaising with them, adding that they are doing legitimate businesses with credible business partners including the first son of a former governor of Kogi State. Aside from six identified victims including the late Inspector Abdul Alfa who was axed from behind and his police rifle snatched, most of the human organs sale syndicate’s victims cannot be properly identified, even after helpful confession from the criminal suspects. Names of the suspects who are indigenes of Ankpa local government in Kogi state as given by the police include: Honourable Abdulahi Ibrahim Ali, alias Halims (35);his driver, Alhaji Abdullahi Zakari (35); a businessman, Alhaji Shaibu Adamu alias Aye-Marina (43); Akwu Audu (21); Sale Adama (45); Musa Abdulahi (32);Yakubu Yahaya (30); Adama Shagari (30); Baba Isah (23); Isaac Alfa (19); Idoko Benjamin (20);and Yakubu Hamidu (39) alleged to be the gang leader while also working as vigilance group commander in Ankpa Local Government. Four other suspects who hail from neighbouring Ofu local are Ubile Attah (21); Julius Alhassan (30); Shehu Haliru alias Fedeco (25); and Abdullahi Tijani (27). Exhibits allegedly recovered from them are one pump action gun, two locally fabricated single barrel guns and three short axes. According to the police spokesman, the rampant cases of missing persons, killing of innocent people and the removal of their private parts for ritual purposes in Ankpa town and environs made the Inspector General of Police, IGP Ibrahim K. Idris to direct the IGP Strike Force attached to Operation Absolute Sanity to investigate all such cases, arrest the perpetrators and bring them to justice. 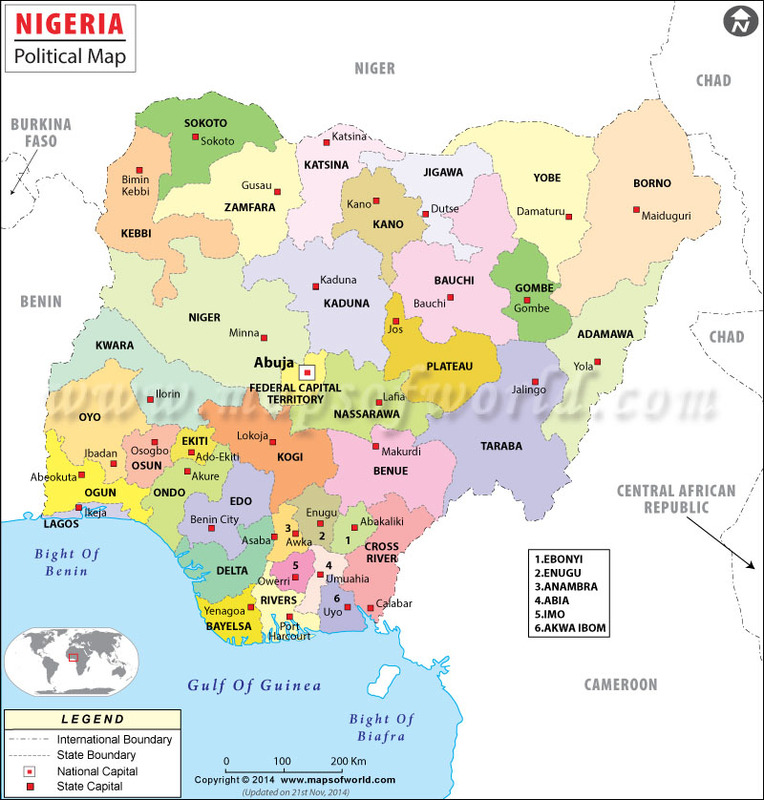 “In the course of investigation , it was discovered that this gang – from information and intelligence gathered from public spirited individuals and other residents- were responsible for kidnapping, gruesome murder, and ritual killings of innocent people in Kogi State, travellers passing through Kogi State and strangers coming into towns in the area were mostly victims. 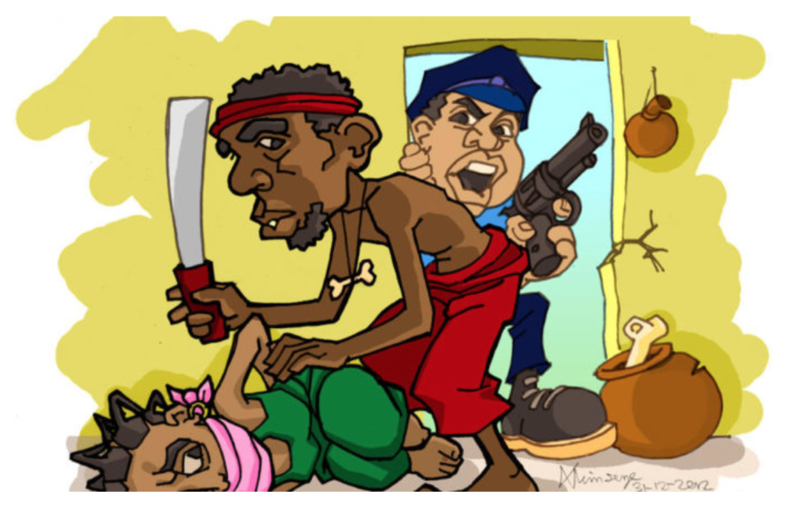 ”Yakubu Hamidu (39 years old Gang Leader and a Vigilante Commander of Ankpa), and his vigilante guards are the hit-men responsible for the killings of several victims and removing their organs, mostly male and female organs including other body parts such as the head, kidney, and other vital body organs and selling them to personalities within and outside the state for rituals. “During interrogations, the Gang Leader, Yakubu Hamidu and his members now in Police custody confessed to the crime and admitted that they were sponsored and working for Abdulahi Ibrahim Ali alias Halims and Alhaji Shaibu Adamu alias Aye- Marina whom they handed over the body parts to, after killing their victims and severing their body organs and collecting huge sums of money ; Aye-Marina’s driver known as Zakaru receives the body parts from Yakubu Hamidu. ” Abdulahi Ibrahim Ali a.k.a Halims who has volunteered statement to the investigators is now in Police custody and is suspected to have used the proceeds of crime to build and own so many properties including big hotels and several filling stations in Kogi State while Alhaji Shaibu Adamu a.k.a Aye Marina, without any known profession or any known means of livelihood was suspected also to have built ,and owns mansions and four filling stations in Ankpa, Kogi State and another four at Onyangede in Benue State with the proceeds of the crime. “Yakubu Hamidu, Julius Alhasan, Shehu Haliru, Ubile Attah and Akwu Audu have confessed to the gruesome killing of Inspector Abdul Alfa attached to Ejule Police outpost in Ofu Local Government on 28 th November, 2017 and carted away the Police rifle in his possession. “All the suspects have made voluntary statements to the Police Investigation Team and have confessed to the various criminal roles they played in the recent kidnapping, gruesome murder and ritual killing attacks on innocent residents and the killing of a Police Inspector, Inspr. Abdul Alfa, attached to Ejule Police Outpost, in Kogi State. “Investigation is being concluded and efforts being intensified to arrest other suspects who include prominent personalities linked to the crime but still at large; they will all be arraigned in court on completion of investigation. 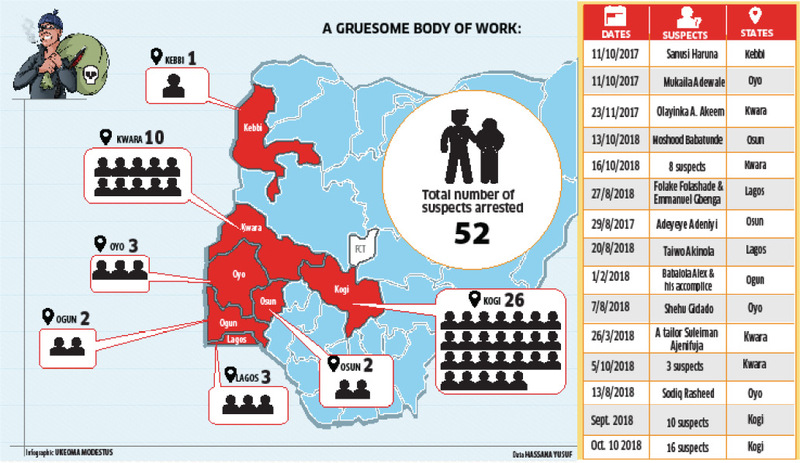 The Inspector General of Police (IGP) Strike Force, has arrested sixteen suspects in connection with alleged kidnapping, murder and ritual killings in Kogi State. 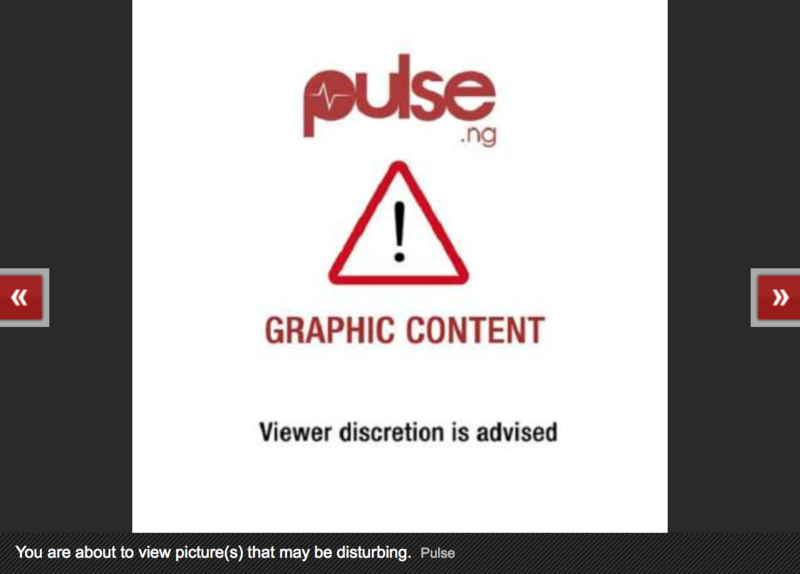 The Force Public Relations Officer (FPRO), Acting DCP Jimoh Moshood, who made the disclosure while presenting the suspects at the Force Headquarters in Abuja yesterday, accused them of harvesting vital organs, after killing their victims. According to Moshood, the harvested vital organs were then sold to “personalities in Kogi and other neighbouring states.” Among those arrested and presented before journalists, was Hon. Abdullahi Ibrahim Ali, who claimed to have won the All Progressives Congress’ ticket for Ankpa/ Omala/ Olamaboro federal Constituency of Kogi State. Also arrested was Vigilante Commander in Ankpa,Mr. Yakubu Hamidu, who admitted his alleged involvement and others in the heinous crime. One of the victims of the alleged ritual killing, according to the Police, was Inspector Abdul Alfa. The police officer, who worked at Ejule Police Outpost in Ofu Local Government Area of Kogi State, was killed “while on foot patrol” on November 28, 2017. Other victims, apart from the officer, included “innocent people in Kogi State, travellers passing through Kogi State and strangers coming into towns in the area”. The guns and axes the suspects allegedly used in killing and severing victims” vital organs, were displayed during the press briefing. 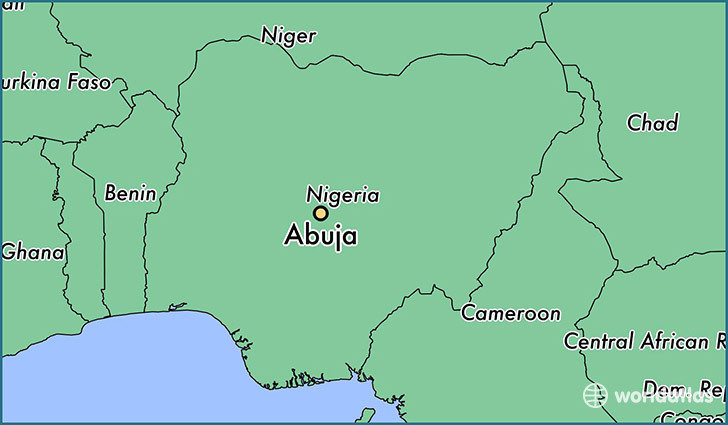 “Consequent on the killings of innocent people and the removal of their private parts for ritual purposes in Ankpa town and environs, and the killing of a Police Inspector, Abdul Alfa, at Ejule Police outpost in Ofu LGA while on foot patrol on November 28, 2017 snatching the Police rifle in his possession, and several complaints of missing persons received at the Police stations in Ankpa and environs, the IGP Ibrahim Idris, concerned with these trends of criminalities in Ankpa Local Government Area of Kogi State and other neighbouring States, directed the IGP Strike Force attached to Operation Absolute Sanity to investigate all these cases, arrest the perpetrators and bring them to justice. “All the suspects have made voluntary statements to the Police Investigation Team and have confessed to the various criminal roles they played in the recent kidnapping, gruesome murder and ritual killing attacks on innocent residents and the killing of a Police Inspector, Inspr. Abdul Alfa, attached to Ejule Police Outpost, in Kogi State. “Investigation is being concluded and efforts being intensified to arrest other suspects who include prominent personalities linked to the crime but still at large. They will all be arraigned in court on completion of investigation,” the Police said. LEADERSHIP: A suspected murderer, who confessed to specialising in killing and harvesting human private parts and organs to politicians and business men was arrested and paraded by the Nigeria Police Force yesterday in Abuja. The suspect, Yakubu Hamidu, male and 39 years, who was a vigilante personnel at Ankpa, Kogi state admitted to have personally sold four male private parts and human organs to a politicians, at prices ranging from N100,000 to N250,000 each. 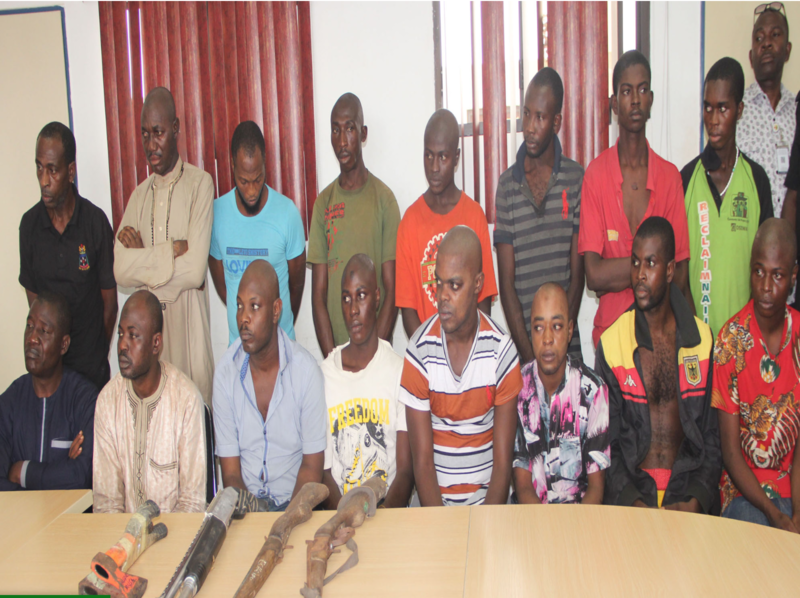 The suspect and his cohorts further confessed to the killings and removal of body parts of the following victims James M (other names yet to be known), Christopher (other names yet to be known), Mohammed (other names yet to be known), Small Case (Real name unknown), Omu (other names yet to be known) and Inspector Abdul Alfa (who was ambushed and axed on his head from behind to death) by Julius Alhasan and his gang. The suspects, Hamidu, Julius Alhasan, Shehu Haliru, Ubile Attah and Akwu Audu also confessed to the gruesome killing of Inspector Abdul Alfa attached to Ejule Police outpost in Ofu Local Government on 28th November, 2017 and carted away the Police rifle in his possession. Force public relations officer (FPRO), Jimoh Moshood, while parading them, said: “Consequent on the killings of innocent people and the removal of their private parts for ritual purposes in Ankpa town and environs, and the killing of a Police Inspector, the Inspector General of Police, IGP Ibrahim Idris, concerned with these trends of criminalities, directed the IGP Strike Force attached to Operation Absolute Sanity to investigate all these cases, arrest the perpetrators and bring them to justice. It’s being estimated that between November 2014 and March 2017 at least 18 albinos have been murdered in Malawi. 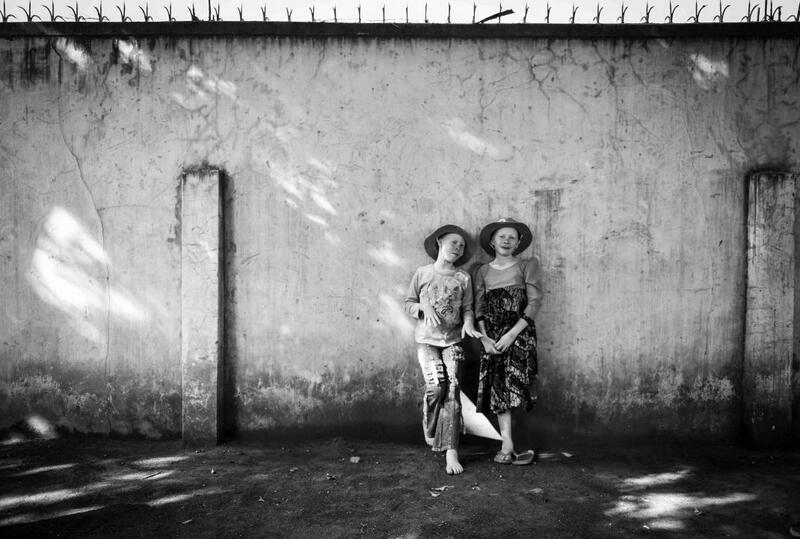 Since then, these atrocious ritualistic killings and attacks on people living with albinism have continued unabated – as has been demonstrated by the numerous cases reported and reproduced on this site. These ugly practices must stop, not only in Malawi but also in other sub-Saharan countries! 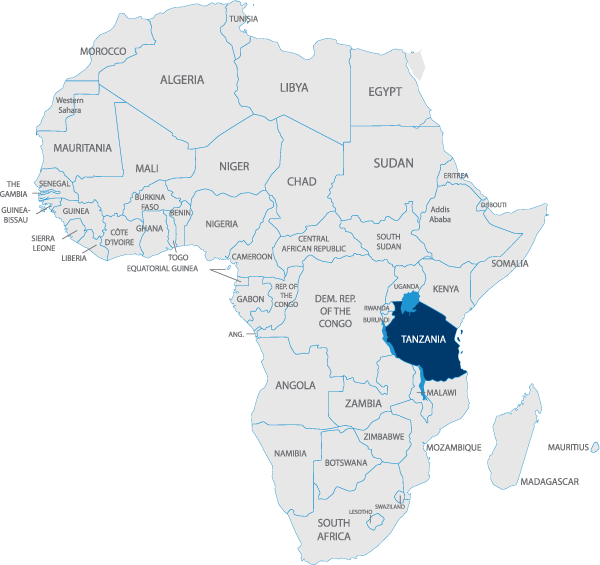 Police in Malawi say investigations have revealed that human bones found with a man arrested in Lilongwe last week were those of a person with albinism, who died in Mchinji last year, a report says. At least 18 albinos have been killed across Malawi since November 2014. According to Malawi 24, police spokesperson Kaitano Lubrino said that preliminary findings indicated that the recovered bones were those of an albino person Spiriano Felix who was buried on April 20 last year, but his grave was tampered and exhumed by unknown criminals on May 6. Lubrino said that Felix’s lower legs and lower arms were found to had been chopped off from his corpse, thus, prompting the police to launch a manhunt. The police spokesperson said that after the suspects were arrested last week, a forensic histopatholographic examined the bones to confirm the identity of the bones which had been found. Amnesty International said last year that albinos in Malawi were being targeted in an “unprecedented wave of brutal attacks”. The rights group blamed police for failing to tackle a scourge fuelled by ritual practices. 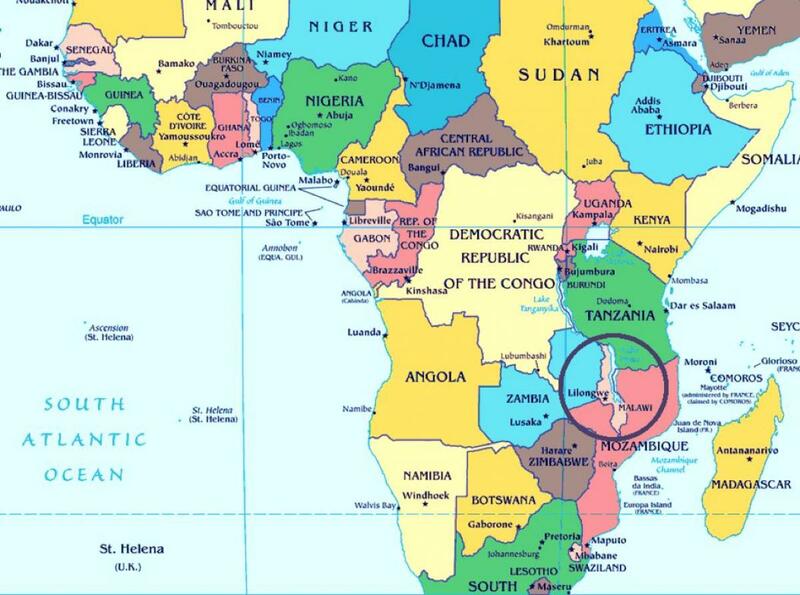 At least 18 albinos – who have white skin because of a hereditary condition that causes an absence of pigmentation – have been killed across Malawi since November 2014, the group said at the time. The corpse of a young lady has been discovered after it was dumped along a road in Delta State by suspected ritual killers. Warning: The original article shows very graphic photos. The above illustration is a screenshot of the original. No link attached. The original article shows the very graphic photos of the victim (see “Source’ below). There was pandemonium in Sapele, Delta State, as the corpse of a yet to be identified lady was found by the roadside ostensibly dumped by ritual killers. According to ST Media, the body of the victim was discovered along Market Road by Akintola Road in the town at about 10 pm on the night of Thursday, October 12, 2017. Eyewitnesses said parts of the lady’s head was shaved, lending credence to the fact that she must have been killed by ritualists who dumped her by the road. It was also gathered that the dead body was dropped on the road by a small black car as witnesses confirmed that the vehicle had parked at the right side of the road and a young man alighted, pretending that he wanted to urinate and after some seconds, opened the back seat of the vehicle, dragged the body out, jumped back into the passenger front seat and the car zoomed off. Another eyewitness said the girl might have been killed earlier in the day with the killers deciding to wait it was dark before they dumped the body so as to avoid attracting attention. However, a close examination of the body of the victim did not reveal any missing vital parts. The police were then informed and they removed the body to a mortuary while efforts are said to be on to locate her family as there was no form of identification on the corpse. It was a shocking sight as a mutilated and headless body of a young lady was discovered inside a forest in Imo State. The above illustration is a screenshot of the original. No link attached. The original article shows the very graphic photos of the victim (see ‘Source’ below). Residents of a community in Imo State were thrown into shock and concern after the mutilated body of a young lady was discovered in the forest. According to a blogger, Ifeanyicy Njoku, the body of the lady with the head, breasts, and private parts missing, was found inside a deep forest along the Amaruru-Okpala road in the Okpala/Amaruru community in Iho, Ikeduru Local Government Area of the state on January 5, 2017. 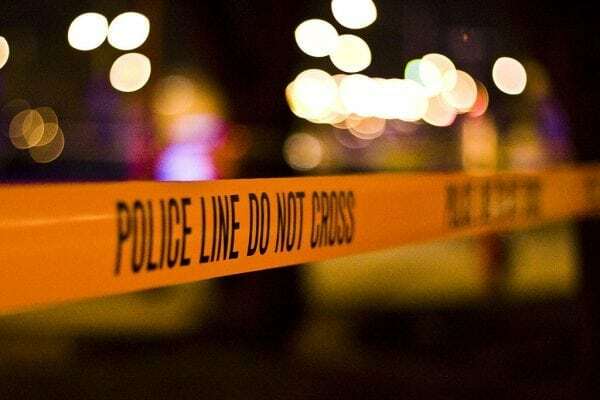 Residents say the shocking find has sent apprehension around the community and its environs with fears that she could have been murdered for ritual purposes with vigilante groups set up to patrol the towns daily. It was gathered that the state police command and the Imo Security Network are presently on the and investigations are underway to unravel the circumstances and identity of the girl have begun.